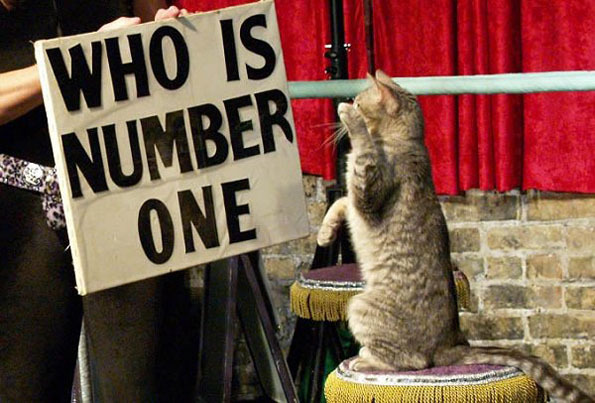 Ladies and Gentlemen, Children of all Ages, prepare to lose your G-D minds, because there’s a new circus in town and all the performers are CATS. Okay, with the exception of a chicken on the tamborine and a groundog who plays the gong. 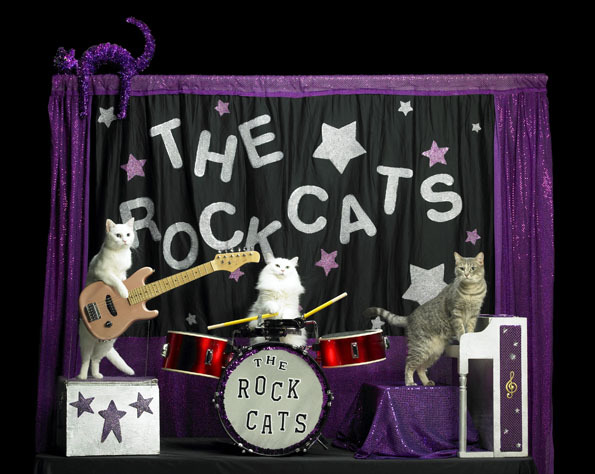 The rest of the crew is of the feline variety, they make up the world’s first (and probably only) cat circus: The Acro-Cats. The human responsible for making all our wildest dreams come true is Samantha Martin. 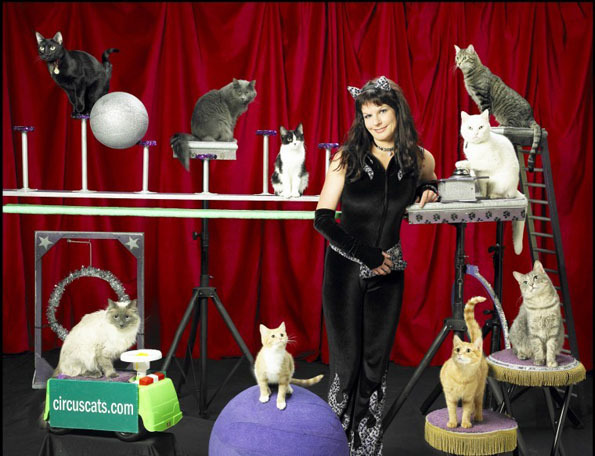 She founded the group and trains the kitty performers who are rescues, orphans, and strays. And just when we thought this all couldn’t get any better, the next stop on the tour is IN MY TOWN. This is like the best news I’ve heard all year. I know it’s only March, but just believe me, things have NOT been going my way: 2014 started with my microwave breaking while I was like 10 seconds into heating up a HotPocket. So not only did I lose an important kitchen appliance, I had to eat a frozen HotPocket. It was horrible. Believe me, there’s a reason ColdPockets® isn’t a thing.